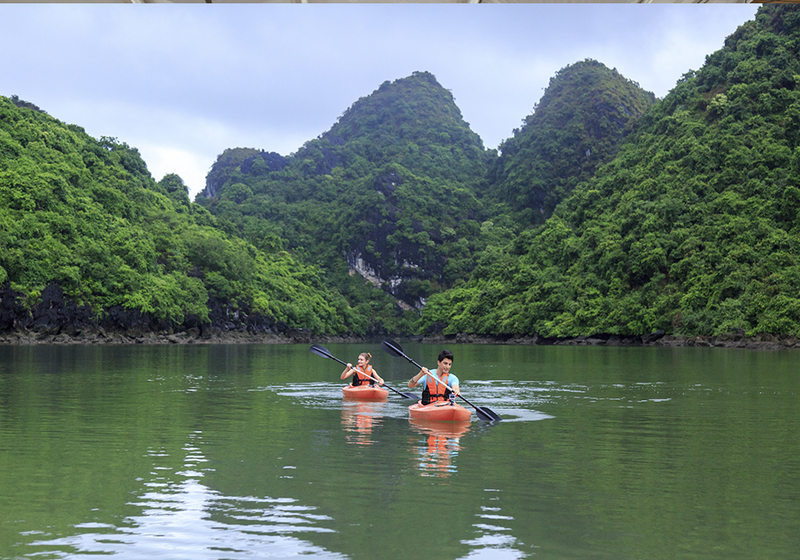 Summer is coming to Halong Bay cruise and it is time for you to plan an absolutely exciting holiday! Seeing the true water world of fishing village in the sunshine, kayaking among thousands limestone island or swimming in crystal water of the bay should be the best feeling in the world. Among so many cruise lines offering exceptional Halong Bay cruise trips from low-cost cruise to high-end package options, here are some of the best deals for this 2017 summer. Containing 17 boutique cabins with a classic wooden interior, a sophisticated and cozy dining room, and an expansive sundeck exhibiting the most stunning views of Halong Bay twinned with relaxing places in which to unwind, Paradise Luxury Classic vessels is where you can explore more activities and attractions in your Halong Bay Tour. Carefully crafted to ensure that all guests can enjoy the highlights of Halong Bay away from the busy crowds, the exclusive Halong Paradise Luxury 2-Day-1-Night Itinerary will give you a chance to get the best of what the Bay has to offer in a dignified atmosphere. 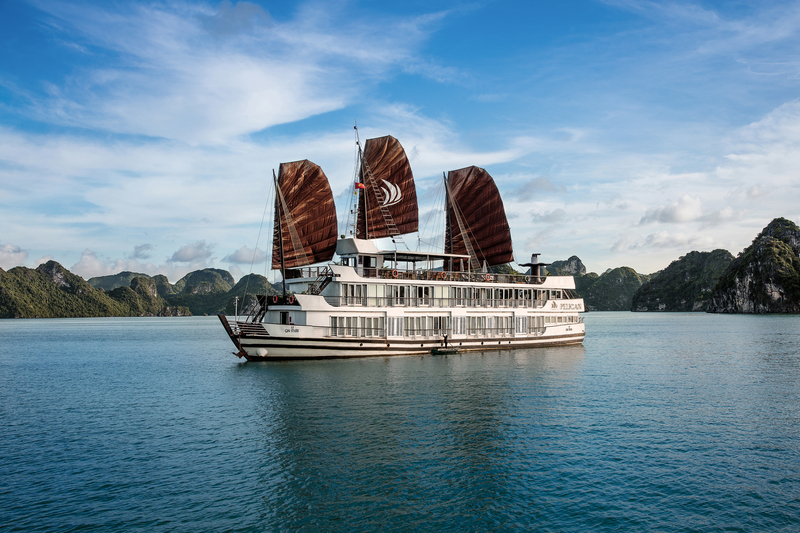 Starlight Cruise, which was launched in April 2013, is the Halong Bay’s newest luxury Cruise. Each deck covering a total area of 600 square meters (57.5m x 10.5 m, 4 decks) provides ample space for only 2 suites and 30 luxury cabins. 01 Wine Cellar stocked with various international wines; 02 Restaurants & Bars serving fine cuisines and drinks; a vast Sundeck; Massage Parlor and Recreation areas are major facilities and services. Setting their sail on a cruise in the midst of Halong Bay is what a large number of travelers choose to experience the splendor of this masterpiece nature. Slowly meandering across the bay, the ship enables you to explore fishing villages, pristine caves and islet pillars. When the weather condition permits, you are also encouraged to take a kayaking. What is more stunning than docking at night and seeing the sun go down to the bay whilst tantalizing freshly cooked seafood. Paradise cruise in Halong, Au co cruise, Glory cruise, Pelican cruise are some popular lines highly recommended for a cruise in Halong Bay. Paradise cruise can be an option for those who are looking for the best luxury cruise in Halong. By offering top-notch service and fulfilled amenities, the cruise can make your vacation the most out of exciting. September and October are the driest months while July is considered the rainy season in Halong Bay. When you are planning on when to travel, keep that in mind. May and June, when the sky is blue and clear and the day is longer, are going to be the most popular long. However, thanks to its great temperatures and good weather conditions, September and October are preferred. The price goes up considerably as it is also the high season in Halong Bay. To avoid the crowd, make sure to book a tour in advance. Tet holiday (February) is the best time to go for those who want to witness the biggest festival in Halong Bay. Waiting until Tet holiday seems to be too long, why don’t you plan and make your way to Halong Bay right in this 2017 summer?